Looking "where to sell my Mercedez Benze 300SL?" Ask the Chicago Car Club! Are you wondering "where to sell my Mercedez Benze 300SL ?" 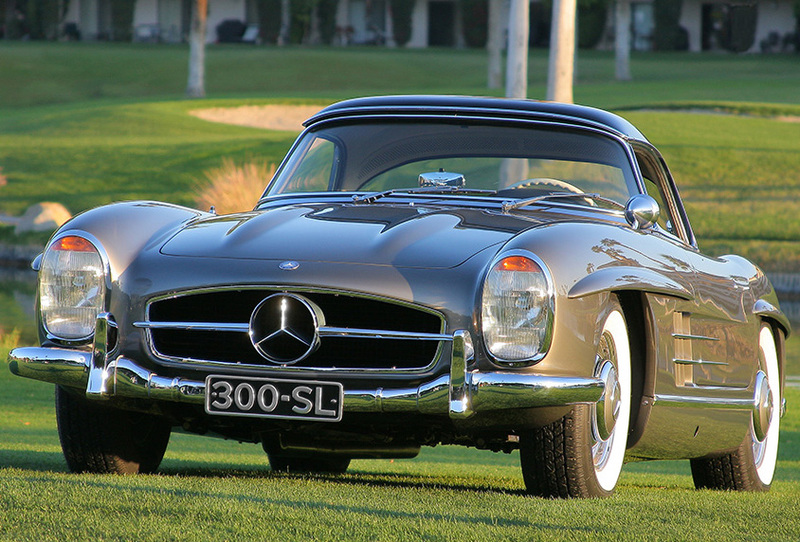 The Chicago Car Club is interested in classic cars of all makes and models, especially a Mercedez Benze 300SL. We make the process of selling your Mercedez Benze 300SL quick and painless. In just a matter of hours we will have your classic valued and, if you do so choose, turned into money in your pocket. All it takes is a phone call or electronic inquiry to get the ball rolling. In 1952, the Mercedes-Benz 300 SL garnered fame after its victory at the Carrera Panamericana road race in Mexico. In 1954, Mercedes-Benz decided to develop a more consumer friendly version of the winning cruiser. Later that year, a prototype launched at the New York Auto Show: the ‘baby Merc’ was born in the form of the 190 SL. Official production didn’t begin until Spring 1955. From 1955 to 1963, the Mercedes-Benz team produced 25,881 units of the 190 SL. 1957 was its largest production year with over 3,000 units. The 1955 190 SL weighed nearly 2,600 pounds, had an aluminum hood, lid, and doors, which made it prone to rust. A few of the design features that made the 190 SL standout from other Mercedes-Benz’s models were the dashboard modifications. Changes were made to make the switches under the steering wheel more accessible. It also had alterations to the clutch operation and cigarette lighter. The 190 SL ran on a 1.9 liter four cylinder engine with 120 horsepower. The 1955 190 SL could reach maximum speed at 110 mph. The Mercedes-Benz 190 SL came in three design models: roadster-the traditional convertible model-, a coupe-the luxury hard top removable model-, and the touring sports wagon, which was lightly equipped so it had windowless doors and a fly screen to replace a windshield. In 1963, Mercedes-Benz replaced the 190 SL with the 230 SL. By the end of its run, only about half of the original 25,881 Mercedes-Benz 190 SL survived.